This Aussie favourite is a tasty and chewy raspberry flavoured confection. 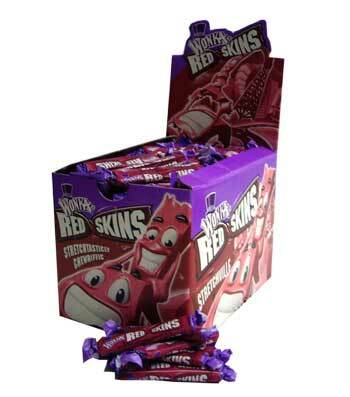 Wonka Redskins are advertised as the ‘stretchtastically longlasting chew’! My friend brought me some of these back from Oz! Amazing!! !